Hi everyone! I’m sorry it’s suddenly been almost a week since I posted! Between family coming into town and watching way too many episodes of The Great British Baking Show (we are obsessing at our house! ), I have gotten a bit behind on my reading and reviewing. I am really excited to share some thoughts on a book that’s been on my TBR for several months: Mr. Penumbra’s 24 Hour Bookstore. This book is so different than I expected, but also so unique and so engaging. I expected a sweet little story about a darling bookstore (I guess I had The Little Paris Bookshop on my mind). But that’s not what this book is about. Its about books and secret societies and technology and Google and immortality. And I kind of love it. A lot. This is a mystery. A detective story. That surprised me. I really enjoyed the setting of this book. I didn’t expect it to take place in modern times. It feels like it could happen tomorrow. This book is so detail oriented. From the miniature cities Mat builds to Clay’s digital code breaking to the Gerritszoon font, the details matter in this book. It seems like there is a lot more symbolism and double meaning in this book than meets the eye. In fact, I could probably read it several more times and still not catch onto everything. Mr. Penumbra’s 24 Hour Bookstore by Robin Sloan chronicles the unique experiences of Clay Jannon–a laid off graphic designer living in San Francisco–who lands a job as the night clerk at a quirky bookstore. As he starts his shifts, Clay begins noticing just how unusual this bookstore really is. There aren’t many patrons and those that do come are strange individuals who borrow books from the “Waybacklist.” Clay starts investigating more about the store with the help of his friends–Mat (a designing genius), Neel (Clay’s childhood best friend who is now a wealthy small business owner), and Kat (Clay’s girlfriend and an aspiring Googler). Together they unravel the first puzzle of the store, travel to New York, and uncover a secret society over 500 years old that is seeking to discover the secret to immortality through a series of coded books. Can the society really find the key to immortality? And will they accept the help of Clay who believes technology is that key? Right away, the engaging narrator and first person style caught my attention. I really enjoyed the style of this novel. We get an omniscient view inside Clay’s head which makes the story even more enjoyable. Between his internal asides, funny comments, and silly sarcasm, I found myself smiling and even laughing throughout the novel. He feels like a real, average person that is easy to relate to–making the rest of the story more plausible. I think the story is so engaging because of Clay’s narrator voice. I haven’t read a novel with a narrator quite like him and there should be more books with similar perspectives. Mr. Penumbra is my favorite character because of how complex he is. He is a long time member of this secret society. He is quirky and a bit old fashioned. Yet he also thinks computers hold to key to solving the society’s puzzles. He calls Clay “my boy” which is just adorable. Most of all, he is caring, kind, and passionate. I don’t think we ever completely unravel Mr. Penumbra’s story. I don’t know why he joined the society, how he inherited the bookstore or why he decided to try to use computers to solve the puzzles. Or what he saw in Clay that made him hire Clay as his clerk. But in everything he does, Penumbra is genuine and invested. I appreciated the way he bonded with his regular customers, fought against the system and cared for Clay. He seems to be the key that holds the story together–without him there is no bookstore. And without the bookstore the story does not exist. I was surprised by all the ways the author connected technology to literature and his story. The paragraphs about different programming languages, databases, and code breaking code added a neat dimension to the novel. I will admit that sometimes that language was boring or too long for me. I did skim some parts that got too detailed or didn’t interest me as much. But I appreciated the unique perspective brought to the novel. It’s hard to say much about it because it is all so intertwined and connected. But suffice it to say that this novel is different and refreshing. We don’t often see a mix of literature and technology in novels. But I think this novel shows that we should have more. The central question that I found in this novel is this: what is immortality? Throughout the novel, the characters are seeking immortality in different ways. Some rely on traditional methods and refuse to conform to new ways of thinking. Some hope for knowledge through modern technology on a grand scale. Some obsess over the idea of living forever and are disappointed in anything short of true physical immortality. Clay’s perspective is my favorite. He encounters obstacles and must overcome barriers before he can discover the immortality waiting in unlikely places. But he doesn’t give up. And I think the ending (and his discoveries) are intriguing and illuminating. A relatively short novel (under 300 pages), Mr. Penumbra’s 24 Hour Bookstore surprised me and kept me turning pages to solve the mystery and discover the key to immortality. I recommend this book to mystery lovers, technology gurus, and quirky bookstore lovers. What did you think of Mr Penumbra? 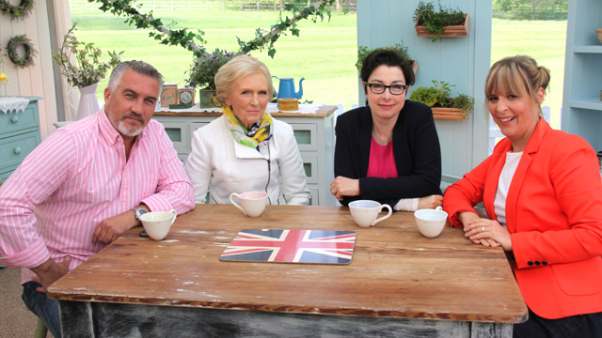 And have you seen The Great British Baking Show? Okay, I will admit, I almost didn’t read this until after I had written my review (stiiiillll waiting for me, as always), but I couldn’t help myself. I agree with you on so many things about this review! Mr. Penumbra is certainly amazing. He’s definitely my favorite character. That said, I found Clay to be unlikable. That doesn’t mean I didn’t enjoy the book– it’s just that I never really connected to him or his motivations. He’s certainly witty, though! I laughed a ton. Let me know when you write your review! I’d love to hear your thoughts! Such a complex and cool novel! I find it hard to explain it to people. It’s just so different! Great review! I loved this book too, although I was a bit disappointed with the ending as I was expecting something a bit more wow. I thought Mr Penumbra was a really interesting character too, although like you said, there’s a lot more I’d like to know about his back story. There’s a companion novella about him – Ajax Penumbra: 1969 – but I haven’t read it yet. I think my only issue with thia book was that sometimes I felt like technology miraculously solved everything, and I’d have liked to see them struggling to work things out a bit more. 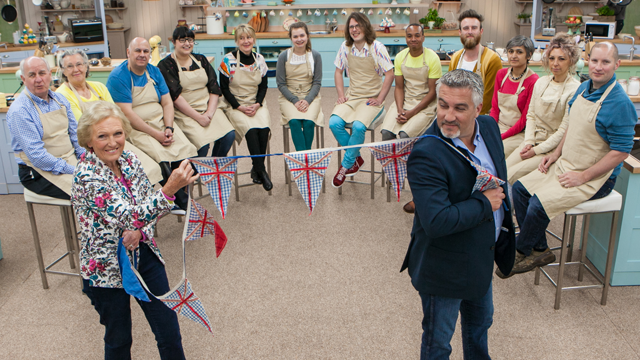 Also, I loooove The Great British Baking Show (although in the UK it’s actually called The Great British Bake Off) 😀 It’s so addictive. I don’t know how people make these crazy cake sculptures when I have trouble just getting a sponge-cake to rise haha. We just watched season 1 in the US. But apparently that was like season 4 in the UK? I also LOVED the narration style and the way the author blended the themes of old and new with books/ancient societies and technology. It was a great book on all accounts, though I will admit, I found the ending to be a bit anti-climactic. Great review! Thanks so much, Emily! I agree that the ending was a bit anti-climatic. I can appreciate what he was doing. And seriously I think I need to read it again to really catch all the intricacies between themes (especially those you mention). Thanks so much for stopping by! 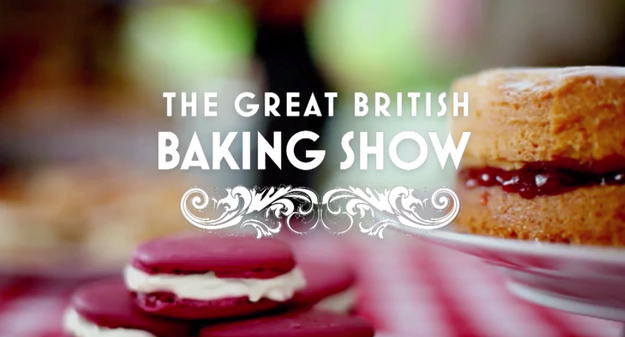 First of all – how do I find this Great British Baking Show? It sounds delightful! Second – after your review I am pushing Mr. Penumbra’s up my TBR list!! Oh my goodness! Its seriously SO. GOOD!! Its on Amazon Prime and on Netflix. Please let me know what you think of it 🙂 And yay! Its definitely different than my usual genre–but so worth the read! Yay!!!! I have both of those! This one has been on my TBR list for a long time too! Hopefully, I’ll get around to it soon. I hope you can read it soon! Different than my usual genre which was so fun!